In my cozy mystery/adventure story,Odboddy–Hometown Patriot, is an elderly, eccentric woman determined to expose every villain and conspiracy threatening the home front during WWII. In addition to a charming story, we delve into life in the United States as citizens 'fought the war from the home front.' 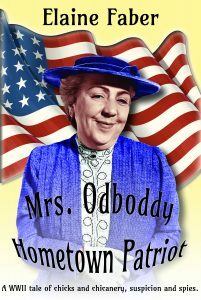 Agnes Odboddy was such a patriot. American housewives willingly gave up their precious food, clothing, tires, and other goods to aid the war effort. Ration stamp booklets were issued and many items including sugar could only be purchased when accompanied with the appropriate stamp. Just imagine how frustrating to find your coffee rationed to one pound every six weeks per adult. This was due to blockades affecting Brazilian ships attempting to bring coffee to the US (During part of 1942-43). The majority of the available coffee was sent to the troops. A limit to purchase only five tires during the entire war was put in place. By today’s standards, that sounds sufficient, but rough roads and poor tires were conducive to multiple flat tires. With a few exceptions for doctors and other public safety professionals, gasoline was rationed to four gallons per week, requiring folks to car pool, ride buses, use bicycles or walk. Speed limits of 35 mph were most common. To appear patriotic and reduce reliance on the limited supply of vegetables and fruit available, citizens were almost required to plant a victory garden. Suburban front yards were converted to rows of cabbages, zucchinis, tomatoes and carrots. Any vegetable with a high yield requiring limited space became the main ingredient of Meatless Monday. Even Mrs. Roosevelt planted zucchini in the White House Rose Garden. Ever fearful of another Japanese air attack, watch towers were erected every several miles along the California and Oregon coastline requiring volunteers to be the eyes and ears for the military. Radar was invented during the war but was in limited supply. As Agnes’s fantasy mystery-adventure progresses, she experiences every phase of rationing, growing a victory garden and manning a watch tower. As a dedicated hometown patriot, she is determined to root out a ration book conspiracy, identify a perceived Nazi spy and prepare for a visit from Mrs. Roosevelt. With the return of an old lover who wants to re-ignite their romance, things heat up. With chickens in the bathroom and a search for a million dollars in missing Hawaiian money, this hysterical romp through the WWII era is a fascinating novel like you’ve never read before. Today’s guest is Elaine Faber, the California writer who generally has a Faber-2scat as the chief sleuth. She departs from that to bring us a story centered around World War II in her latest novel, Mrs. Odboddy – Hometown Patriot. (Of course, there’s a cat in it.) 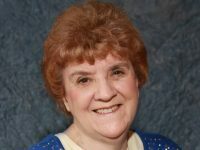 Elaine is a member of Sisters in Crime, Inspire Christian Writers, and Cat Writers Association. While researching California WWII events, the following events became an integral part of the plotline for Mrs. Odboddy – Hometown Patriot. The government convinced the Americans public that giving up their precious food, clothing, tires, and other goods was not only necessary to win the war, but was patriotic. During part of 1942-43, coffee was rationed; one pound every six weeks per adult. This was due to Brazil’s blockade of ships bringing coffee to the United States, as well as the need to send much of the limited supply to the troops. A citizen could purchase only five tires during the entire war. This sounds like plenty by today’s standards, but neither roads nor tires were as good in 1942 as today. People were strongly encouraged, almost required, to car pool or use bicycles and motorcycles. Sugar and other food items were extremely expensive and required a ration stamp which limited its purchase. Beef was in short supply and costly, as well as eggs, which induced many a chicken to take up residence in the suburban backyard. To reduce the reliance on purchasing vegetables and fruit, it was considered patriotic to have your front lawn converted to rows of cabbages, zucchinis, tomatoes and carrots. Even Mrs. Roosevelt planted zucchini in the Rose Garden. Any high producing vegetable in a limited space became the focus of the weekend gardener and the mainstay of many Meatless Meals. Californians and Oregonians lived in fear of Japanese invasion. Volunteers were stationed in watch towers every several miles up and down the coastline with binoculars pointed skyward. 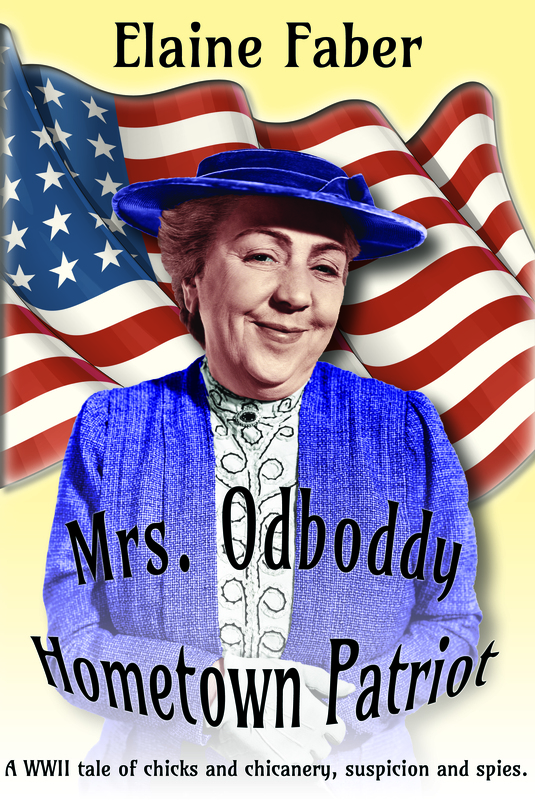 In Mrs. Odboddy–Hometown Patriot, Agnes experiences rationing, volunteering at the Ration Stamp Office, organizing can and paper drives, tending her Victory Garden and cooking meatless meals, fighting the war from the home front. But this eccentric lady also keeps an eye on her nefarious neighbors, some of whom MUST be Nazi spies. She finds herself knee-deep in what is sure to be a black market ration book scam, but when the watch tower burns down on her coast watch shift, she takes the blame to keep a National Security secret. Toss in the return of an old lover from WWI who wants to re-ignite their romance, chickens in the bathroom and a search for a million dollars in missing Hawaiian money and you have the crux of the story. When Mrs. Roosevelt comes to Newbury to attend a funeral, and Agnes’s eccentric notions become reality, she must prove she is, indeed, a warrior on the home front.